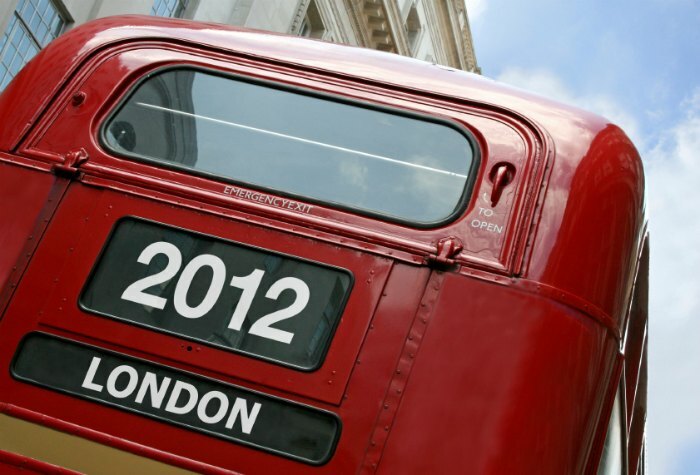 The2012 London Olympics are just around the corner, with the opening ceremony taking place on July 27, 2012. Earlier this month the open ceremony of the 2012 Olympic Stadium was held to kick off one of the world’s most anticipated events, giving the 40,000 spectators in East London of glimpse of what’s to come this summer. The stadium’s gates were opened to the athletes and the public for the very first time. If you’re one of the lucky people who plan to be in London for the Summer Olympics, here is a guide to help you plan for the optimal experience. On 23 May 2012 any tickets that remain after the initial presale period will be made available for sale online and by phone on a first come, first served basis with Visa the only form of payment accepted. Full price tickets for the Olympic games start at just £20. If tickets to the event you’d like to attend are sold-out, your best option is to research online through sites such as eBay and Craigslist, but be aware of scam artists and take precautions. Craigslist can be a great avenue in which to purchase discount tickets through an individual who may not be able to use them, but you’ll want to meet them in person and verify the legitimacy of the ticket before purchasing. The Olympic football competition actually begins two days before the opening ceremony on July 25 at the Millennium Stadium in Cardiff with a women’s football group. • On July 26, the first set of men’s group games will take place in Glasgow, Newcastle, Manchester, Coventry and Cardiff. One is designated to feature the British men’s team. • The Opening Ceremony will be a spectacular event with dancing, singing, fireworks and the Olympic torch all paraded throughout the Olympic Stadium on July 27 from 7:30 to 10:30 p.m.
• On the first official day of the Olympics, 20 different sports will begin competition and the first medals of the game will be awarded, some of those include archery, badminton, basketball, beach volleyball, boxing, road cycling, equestrian, fencing, football, artistic gymnastics, handball, judo, rowing, shooting, swimming, table tennis, tennis, volleyball and weightlifting. • On Sunday, July 29, many will be watching to see if Rebecca Adlington will defend her title from the Bejing Games in the 400m freestyle at the Aquatics Centre. • On Monday, July 30, World Champion Tom Daley will be going for the gold in the 10m synchronised platform diving. • Friday, August 3 will bring the Olympic Stadium’s track and field events. • Saturday, August 4 will start the biggest weekend of the Games with highlights including the heptathalon, rowing, swimming and the triathalon. • Sunday, August 12 on closing day will see the boxing and modern pentathlon events concluding just ahead of the closing ceremony when London will hand over to Rio for the 2016 Olympics. There will be many different venues used during the London Olympics, both inside the city itself and outside of London. For a complete listing, visit the official site here. Be advised that it is never recommended to drive in London, even when the Olympics aren’t taking place. Public transportation is a must, as there is no parking available whatsoever. Walking, cycling, coach, park-and-ride services, etc. are all strongly encouraged. All co-host cities have national rail stations with direct links to London. Be sure to plan in advance to allow for sufficient time to get to the venue, as some are as much as four hours away, spread throughout the U.K. Your best option is to use the journey time finder found here.